The JENSEN® JCR-210 is a sleek and compact AM/FM dual alarm clock radio that features 4 selectable nature sounds (White Noise, Ocean, Rain Forest, and Campfire). 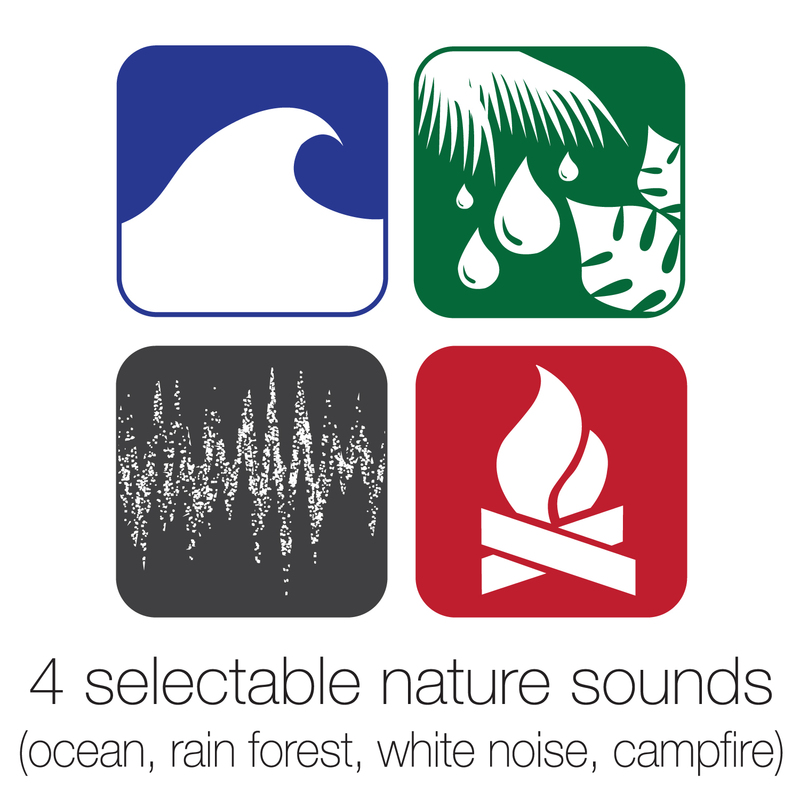 Select one of the nature sounds to help you relax and fall asleep at the end of a long day or gently wake you up in the morning. You can also fall asleep or wake to the radio or a traditional alarm. 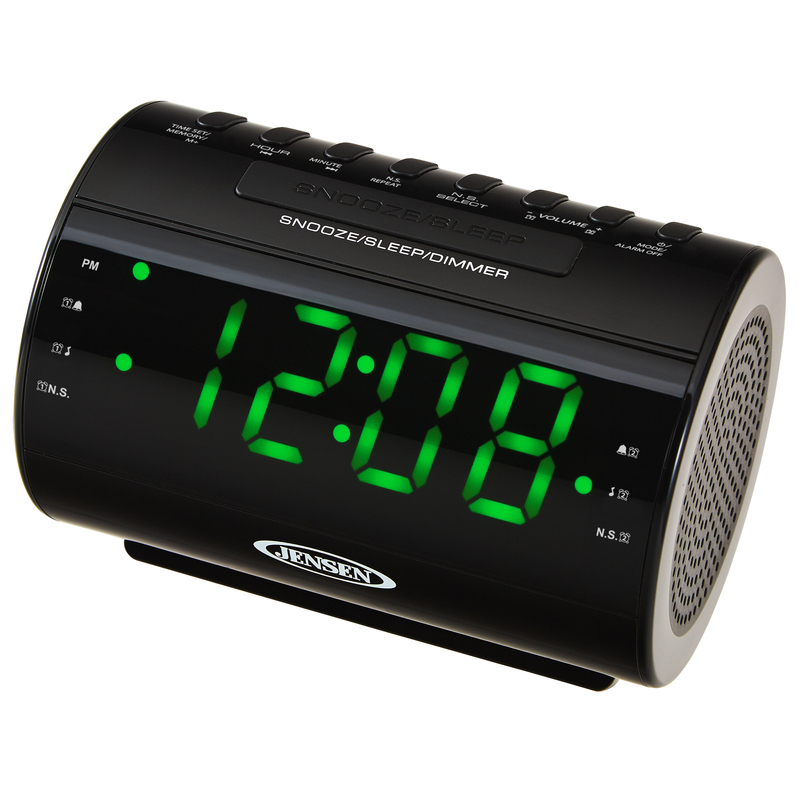 The unit also features a large, easy-to-read 1.2” green LED display with dimmer control and digital AM/FM tuner with 10AM and 10FM presets for storing your favorite stations. The built-in Aux-in jack allows you to plug in and play your iPod®, MP3, or other digital audio players. 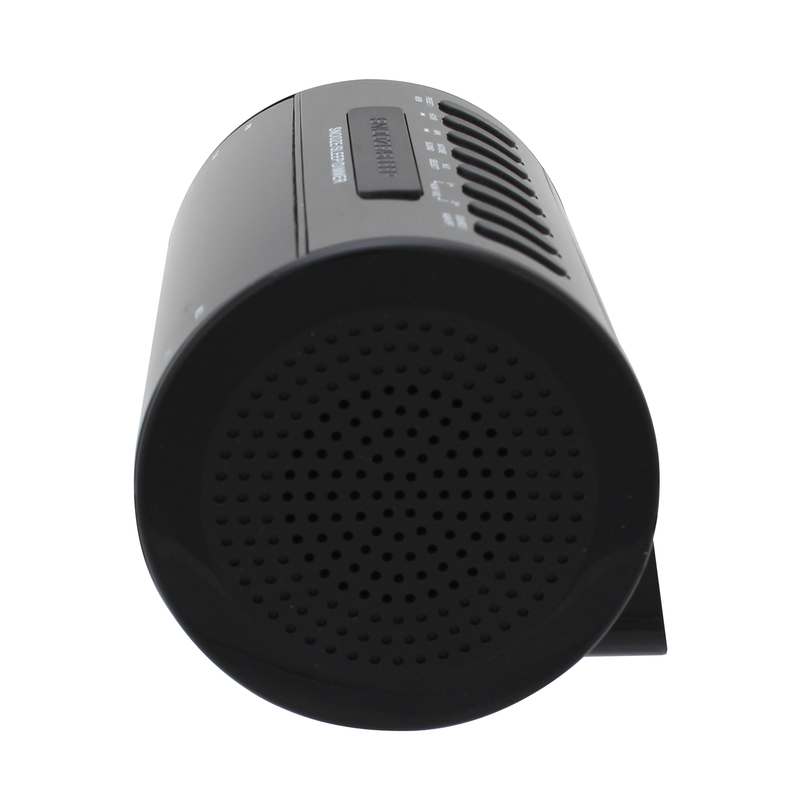 The JCR-210 operates on 120V AC power and includes a battery back-up to save your settings if the power goes out (2 x AAA batteries not included).